Well, that didn’t take very long. 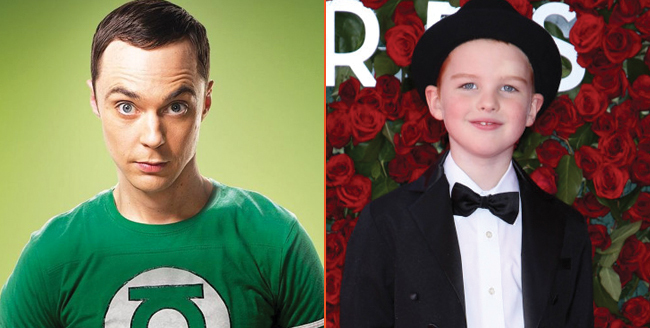 Two weeks on from the moment when CBS announced the casting of Iain Armitage, Variety brings word that the network has ordered its Young Sheldon spinoff straight to series, with plans in place for a 2017-18 premiere. Pitched as a half-hour, single-cam series, it’s unclear exactly how many episodes the offshoot will entail, but early estimates place the inaugural season in the region of 13. What we do know is that Big Bang stalwarts Chuck Lorre and Steven Molaro are fostering the development of Young Sheldon, which is designed to chronicle the origin story behind Jim Parsons’ wonderfully snarky theoretical physicist. With Iain Armitage officially on board as the nine-year-old Cooper, much, if not all of Lorre and Molaro’s prequel series is set to take place in East Texas. Zoe Perry, Lance Barber, Raegan Revord and Montana Jordan round out the preliminary cast list. Behind the scenes, The Jungle Book and Lion King director Jon Favreau has signed on to direct and executive produce Young Sheldon‘s pilot episode, working from a script penned by the aforementioned Molaro. What’s more, after reportedly having a creative say during the casting process, Jim Parsons is attached to both executive produce and narrate the series as the adult Sheldon. Young Sheldon is officially a go over at CBS, and will likely be on our screens sometime before the year’s end. A broadcast slot seems likely, though there’s always a chance the network will nudge its comedic spinoff onto CBS All-Access, where it would join the likes of The Good Wife spinoff, The Good Fight, and the long-awaited Star Trek Discovery series.